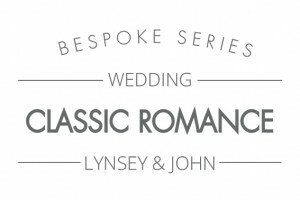 BRIEF CRITERIA: Lynsey and John’s wedding stationery brief was for something elegant and feminine. 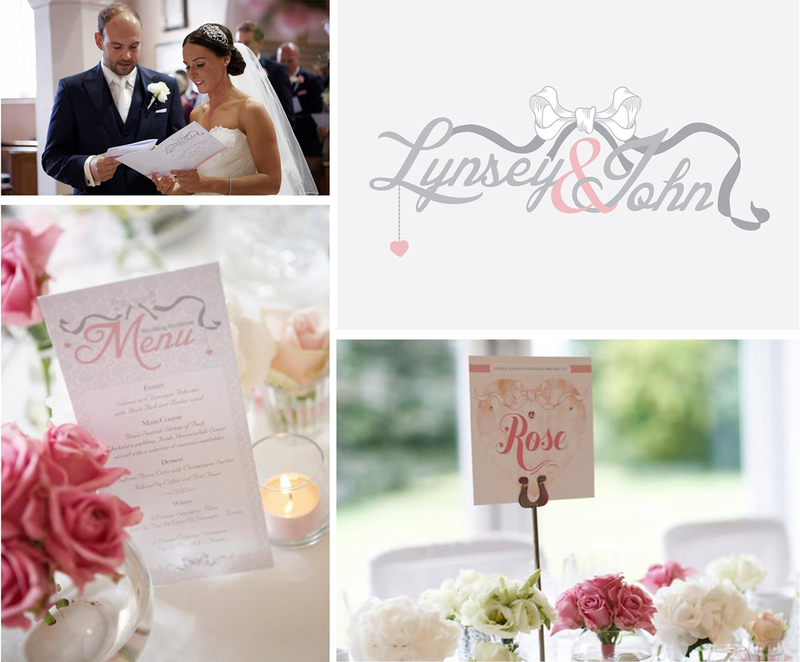 The theme of the day was going to include lots of pinks, ribbons, flowers and sparkle and the couple requested that their stationery really reflects this. 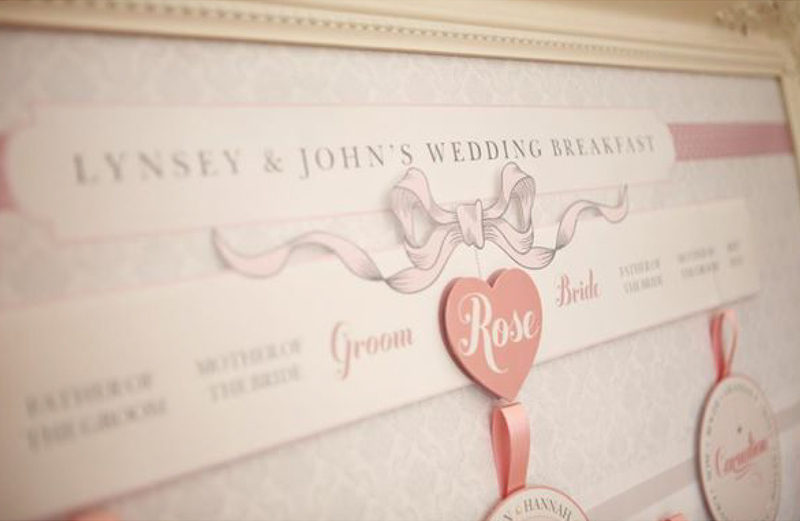 THE RESULT: An elegant design capturing the romance of a wedding. 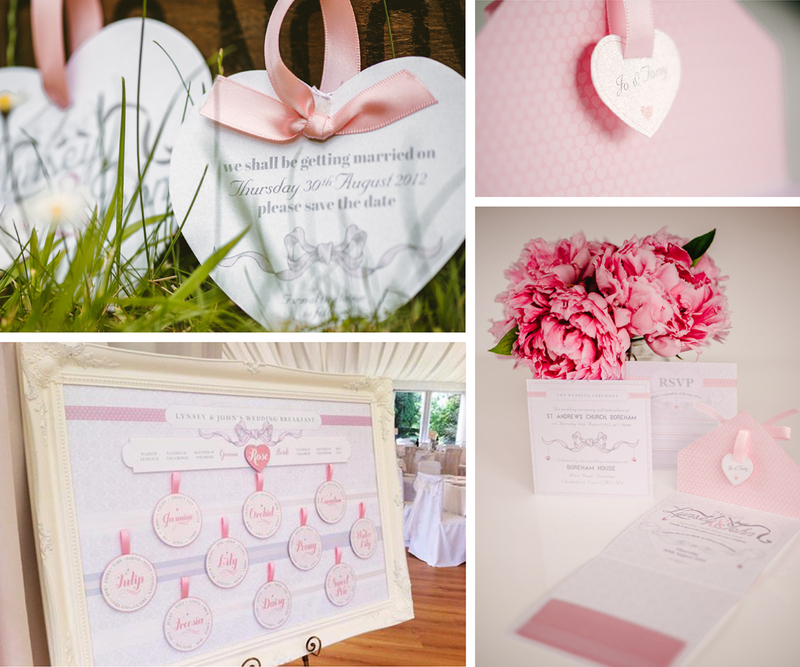 With delicate ribbons, bows and gems, along with stylish, pretty patterns and illustrations, the charming stationery suite encapsulated the perfect wedding love story. 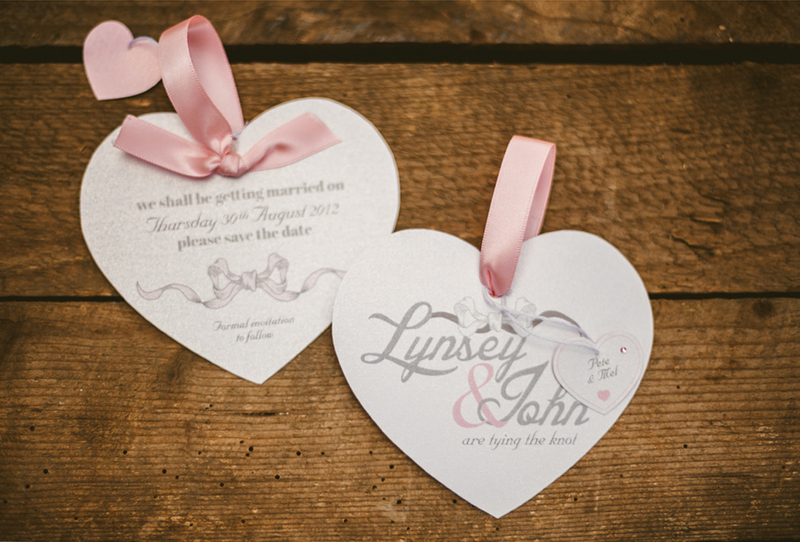 The adorable hanging love heart with attached mini heart name tags for the Save the Dates first set the tone for this chic wedding theme. The wedding invitation, printed on a luxe pearlescent cardstock, is styled as a beautiful envelope with a luxury satin ribbon bow. 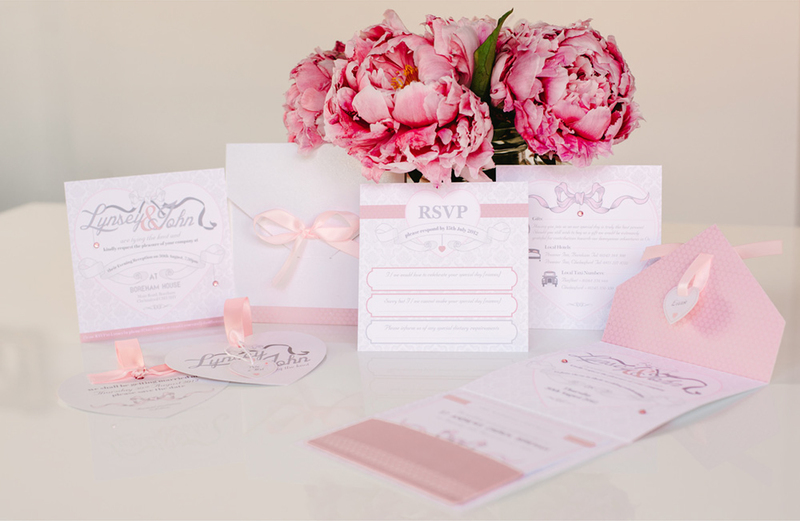 The bow threads through the outer invite so that once opened the heart name tag hangs gracefully from the top, ensuring the physical beauty of the invite reflects the elegant design. 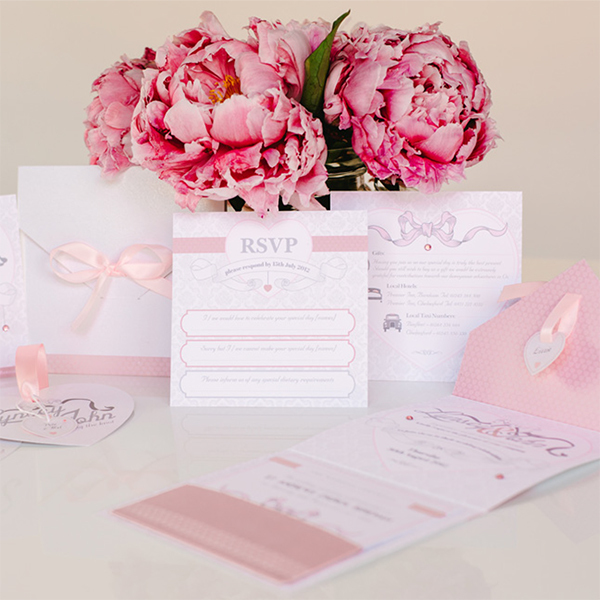 The main details are displayed centrally within the pocket fold invite, whilst the little details and RSVP sit neatly within the pocket itself. 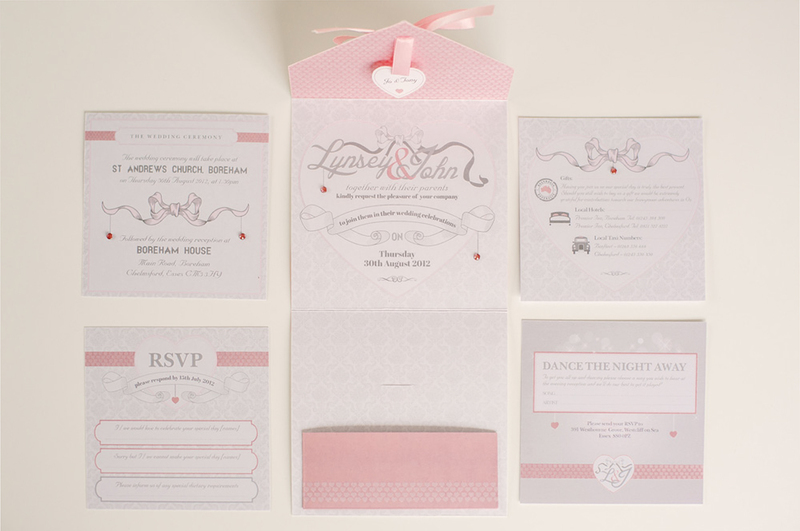 The invites were posted in a pearlescent pink envelope with matching address label and seal stickers.